While you all were asleep on January 31, 2018 I was not asleep. I loaded up my camera gear drove to Arriba Vista and up to the cell towers. I was all set up before 2am and ready for the Super Blue Blood Moon Eclipse. Super because the moon would be closer to earth than usual. Blue because that is what the moon is called when there are two full moons in one month. 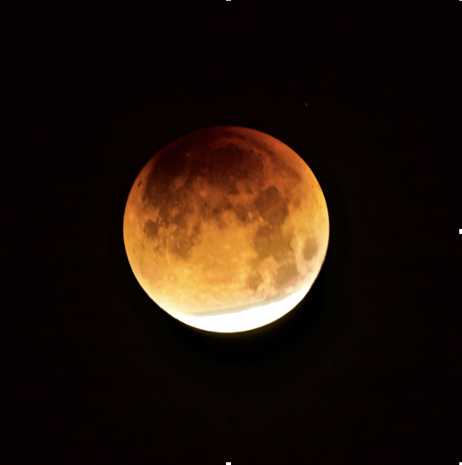 Blood because the Earth’s shadow would appear red on the moon. It wasn’t real cold, about 39-40 degrees, but the constant 15-20 mile an hour wind blowing in my face was tiring. 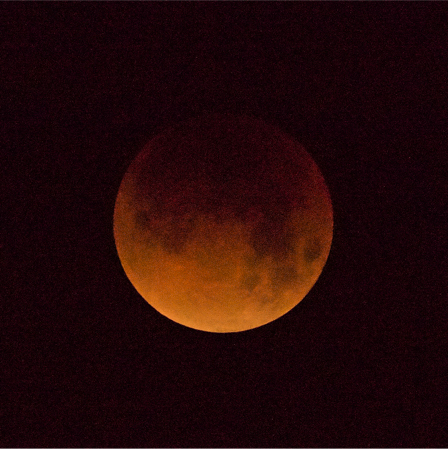 It wasn’t until after 5am that the eclipse started to get some color. This photo was taken at 5:39am. This photo was taken at 5:53am. Close enough to perfect for me. Then I noticed that my Pickup was all wet, my camera gear was all wet and so was my clothing. That mean wind was bringing the wet in from somewhere. I dried my camera gear, loaded up and headed to Mission Coffee Roasting for some caffeine and warmth.